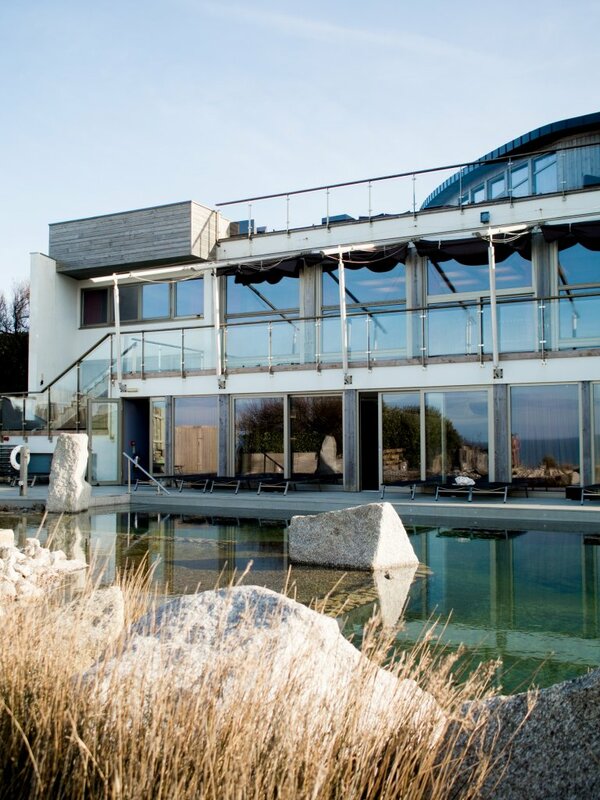 Imagine spending the day in total relaxation next to the beach with the most amazing view! That’s how I spent one day this month at The Scarlet Hotel. 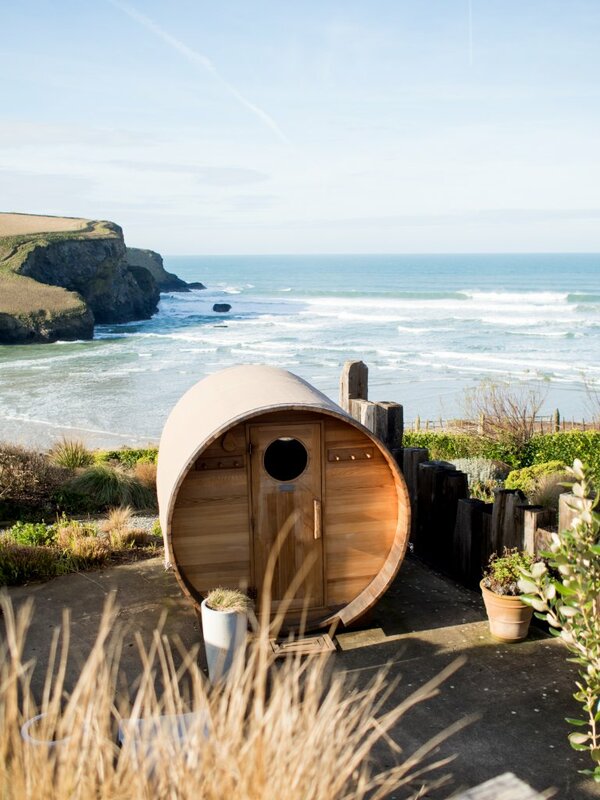 Based atop Mawgan Porth’s cliffs overlooking the ocean, The Scarlet is one of Cornwall’s top luxury boutique hotels; it’s beautifully modern, adults only, eco friendly, and is even dog friendly too! 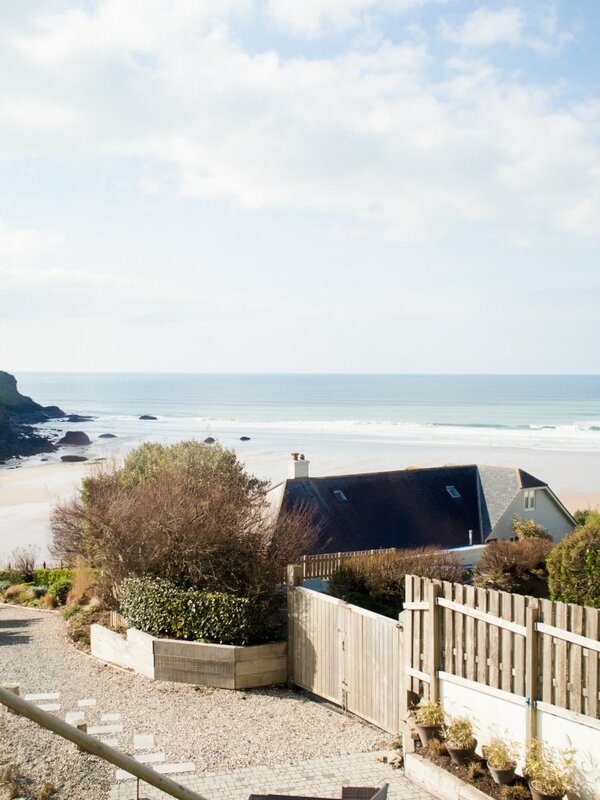 I’d never been before (naturally as a Cornish local, you don’t end up visiting too many hotels in your area! ), but had heard amazing things, so was extremely excited to be invited to try their Love Yourself Spa Day Package. 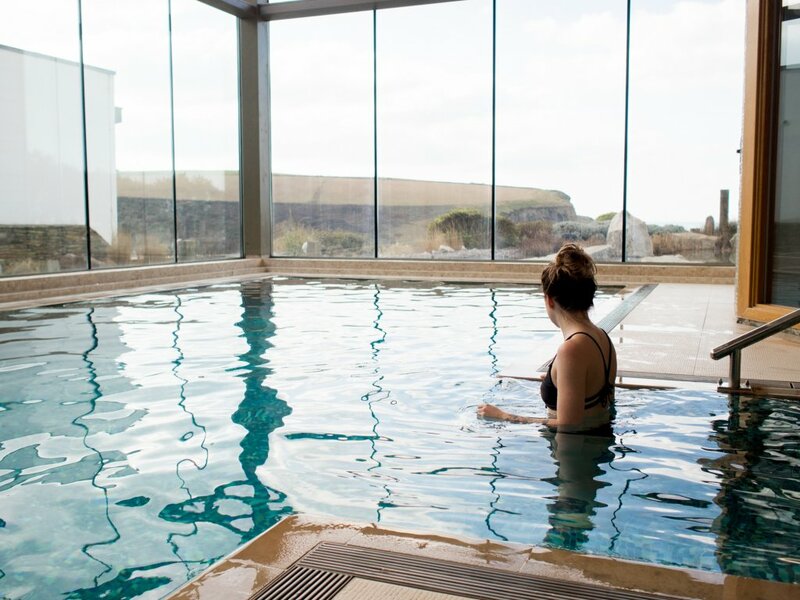 One thing the hotel is best known for is its spa facilities, also open to day guests, due to the spectacular setting on the cliffs and attention to detail. 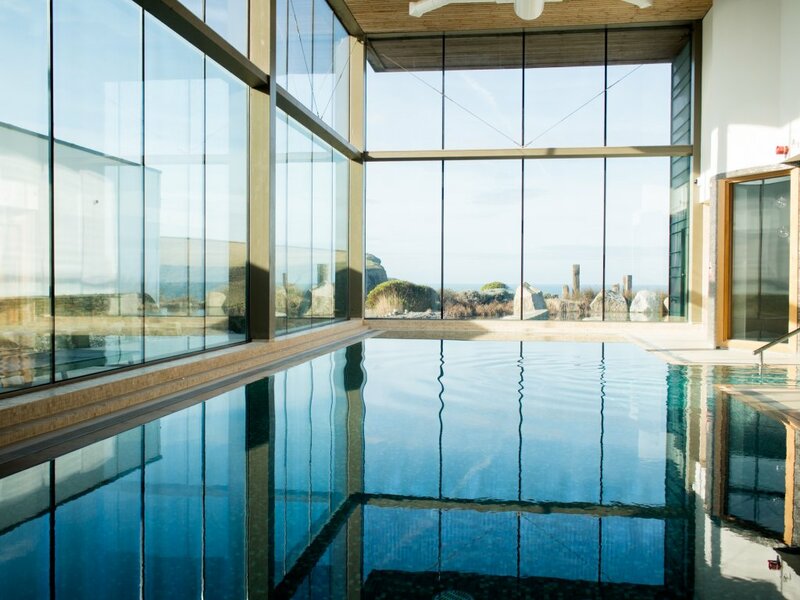 Walking into the spa I was immediately drawn to the beautiful large indoor pool, with full height windows looking outside to the sky and sea. The Spa team had us fill out a form to find out more about each of us ready for our massage treatment journey later that morning, showed us where to get our towels, robes and get changed, and then took us on a tour. 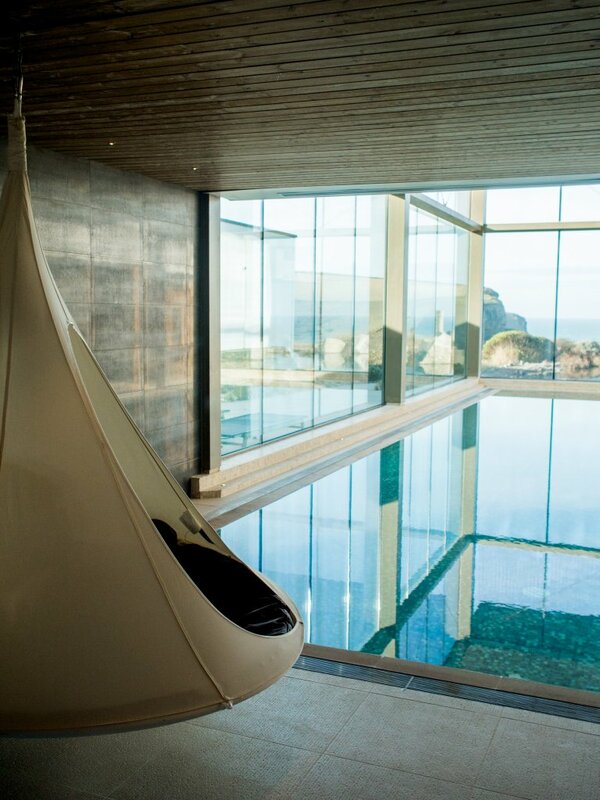 With yoga space, meditation room, huge relaxation room, indoor pool, outdoor pool, clifftop hot tubs, outdoor cedar barrel sauna, indoor steam room, Deep Relax area, treatment rooms, consultation rooms, and a cosy changing area/showers, the space had everything you could dream of, but also felt peaceful and personal at the same time. Funnily enough, I hadn’t actually realised there was an outdoor pool at all, until on our tour we were taken outside and told that what I’d thought was a large decorative pond from indoors was in fact a natural outdoor pool! 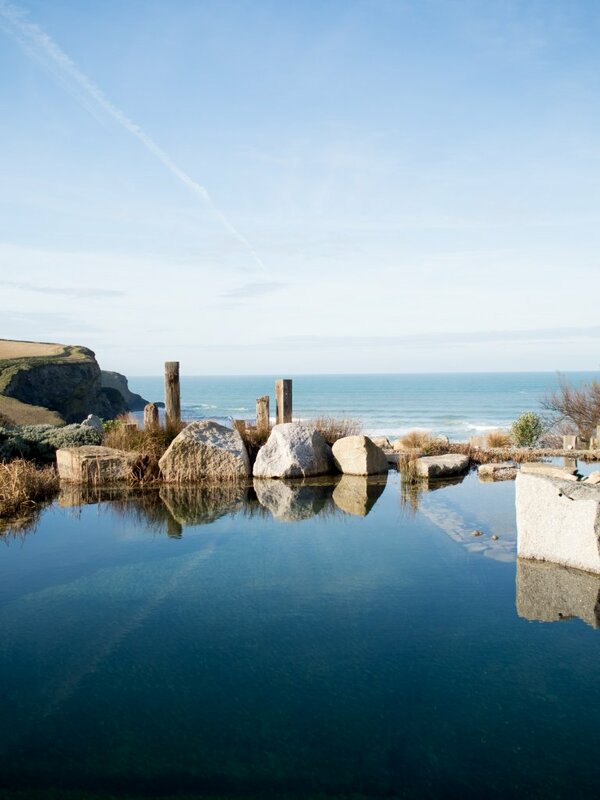 One of the most beautiful pool’s I’ve ever seen, with rocks, plants and a breathtaking view. Of course, it was definitely too cold to take a dip in the February air, but I couldn’t help but take a photo. 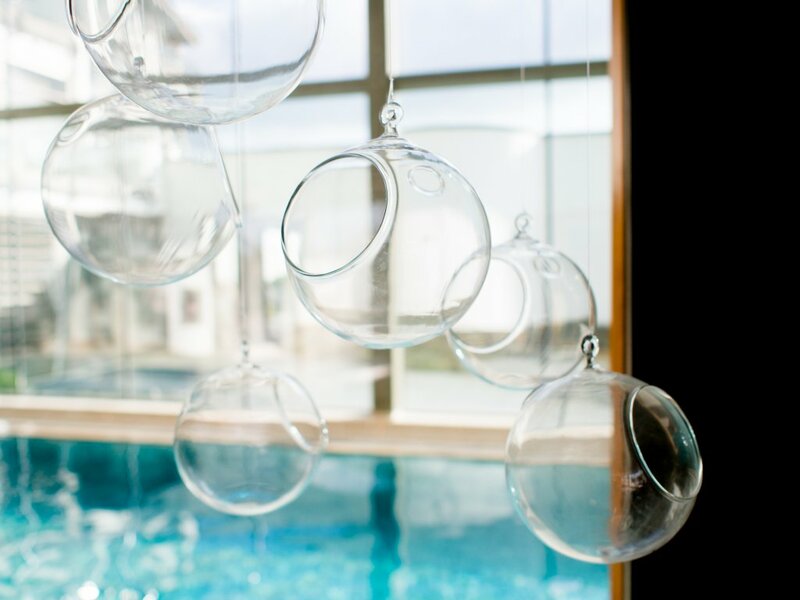 After settling in to the relaxation room, with its sweeping glass doors, comfy loungers and recessed beanbag chill area, we were soon whisked off for our treatments. It was great that throughout the day, we didn’t need to worry about time or even look at our watches, because someone would always come and find us when it was time for our treatment, or lunch, or hot tub dip! Our therapists took us separate ways, and chatted to us about our health and ‘Ayurvedic type’ (worth a Google!) 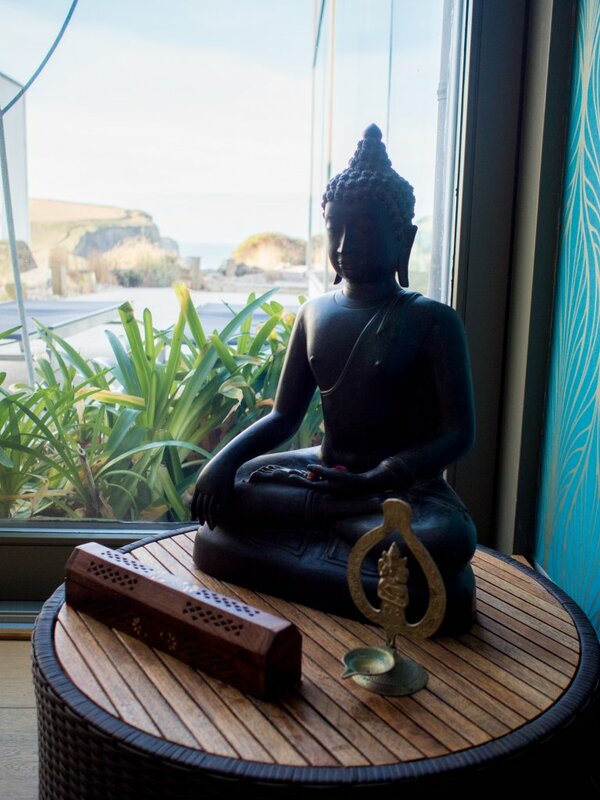 before leading us to the treatment rooms; a truly peaceful, darkened area with comfy massage bed, salt lamps, aromatherapy and atmospheric music to help us get relaxed for our 45 minute massages. 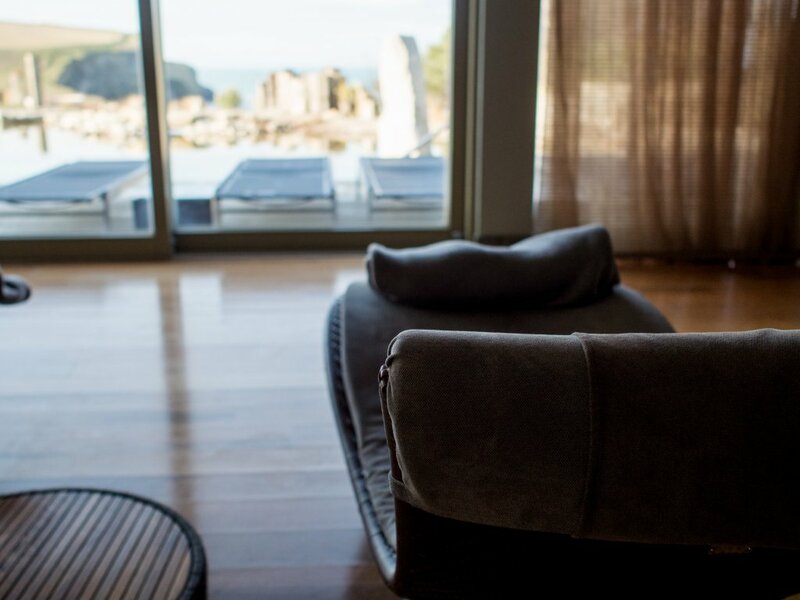 Once the massage was over, feeling totally zen, we were both taken to the ‘Deep Relax’ space – a kind of trippy but awesome dark room with several hanging canvas pods to lounge in total silence. Feeling refreshed, we headed out to have a swim in the indoor pool and generally relax before lunch. We spent most of the morning chatting and drinking herbal tea, and marvelling at our surroundings. For lunch, we were lead up to a secret dining area specifically for spa guests (so that we could sit and eat our food in our dressing gowns without feeling awkward!) 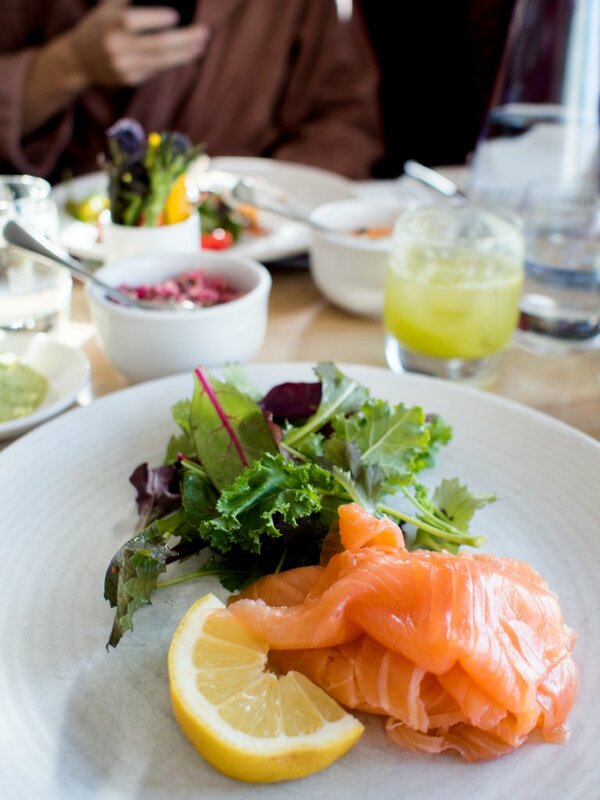 and treated to a healthy lunch of juice, salmon (or chicken in Alex’s case!) and a variety of salads. It was delicious, and just the right amount so that we weren’t all bloated for the rest of our day! 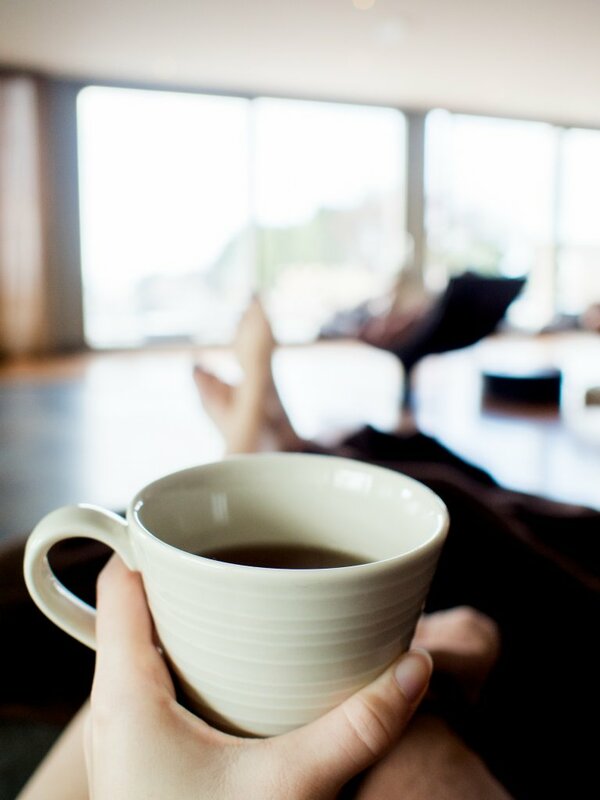 We spent a couple more hours in the afternoon going between the steam room, indoor pool and relaxation area – with plenty of tea of course! 3pm came around super quickly, and this was our allotted clifftop hot tub time! 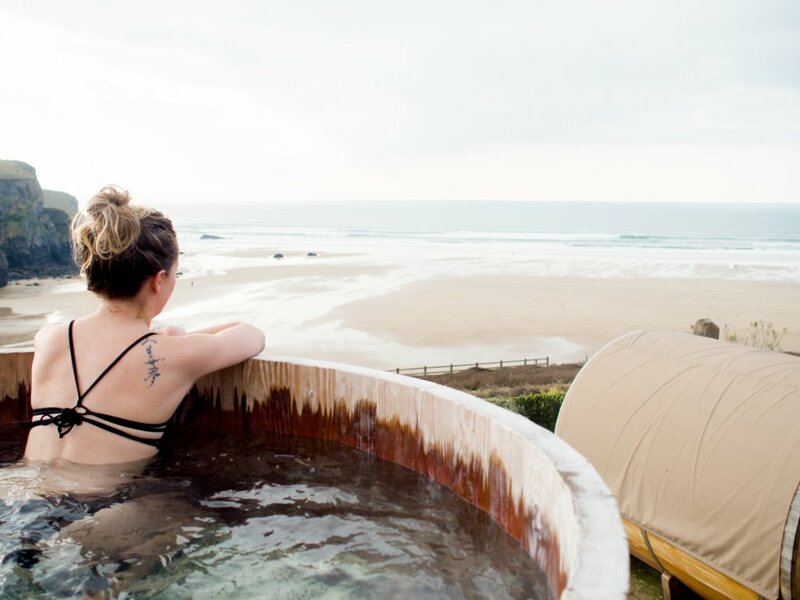 These outdoor wooden hot tubs are one of the main features of the Scarlet Spa, as their position looking out over Mawgan Porth beach is truly breath-taking. This spot definitely gets my ‘best ever view from a hot tub’ award! 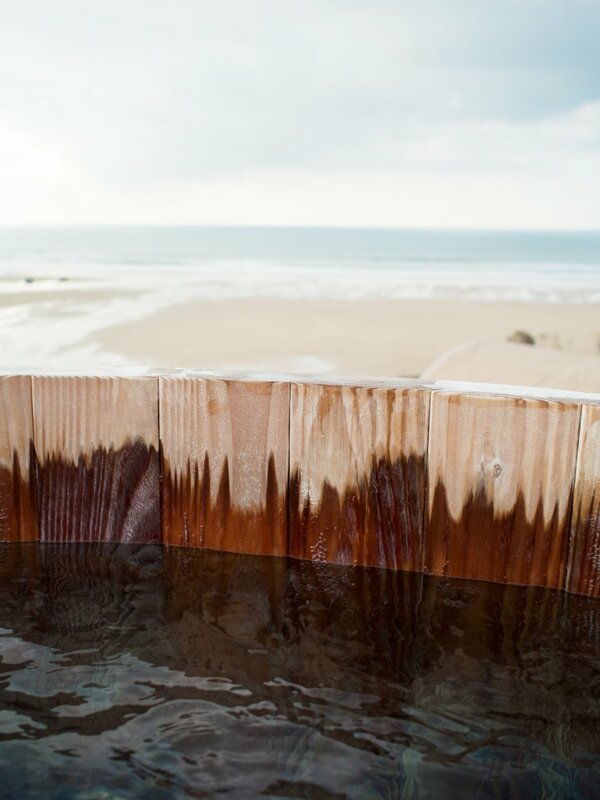 It felt incredibly to just sit with shoulders out in the cold air looking at the ocean and feeling the breeze on your face, with the other half of you totally snug and toasty in a bubbling hot tub bath. It was the perfect end to a perfect day! 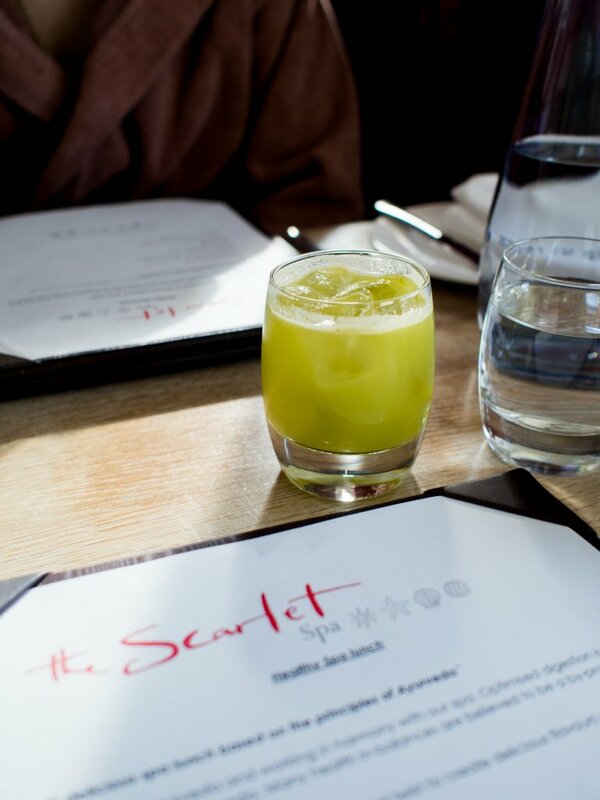 Overall I was completely impressed by The Scarlet and it was honestly the best spa experience I’ve ever had (including 5 star resorts abroad!). 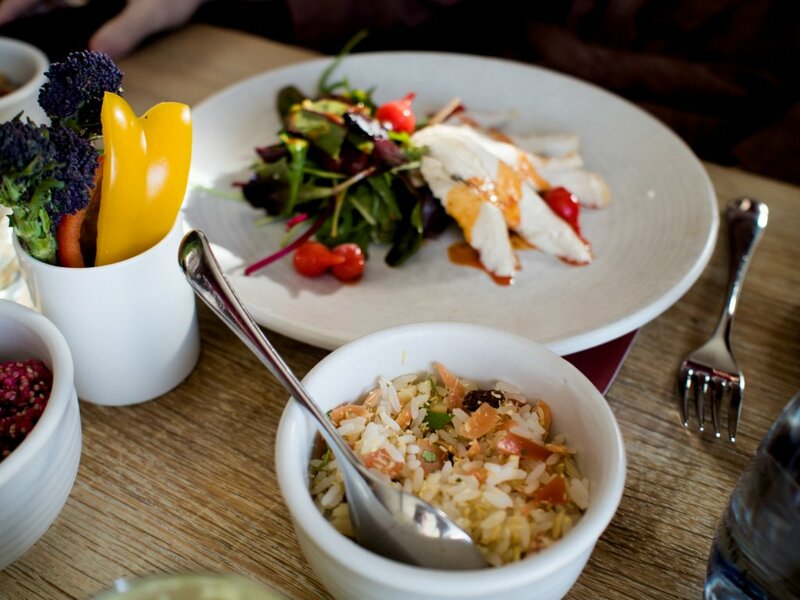 Everything was to the highest standard, from the quality of the facilities, to friendly and professional staff, to the delicious food and cleanliness of the whole place. The attention to detail was incredible, and you could just tell that every element of our experience had been carefully thought through. Obviously the epic setting and view make this place extra special, but literally everything was flawless – I cannot rave about it enough! 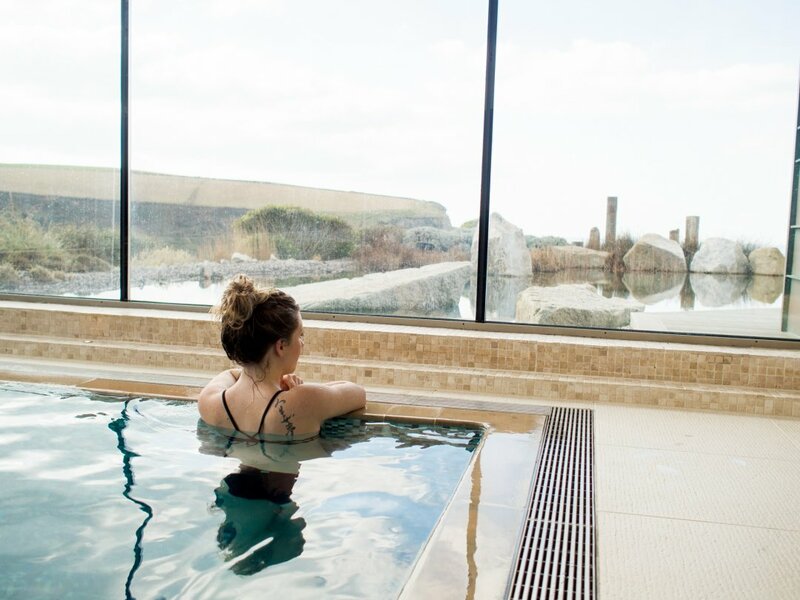 With spa breaks starting from £505 per person, and day spa special offer packages starting from £110 per person, I’d totally recommend visiting for a special occasion or as an extra special treat! 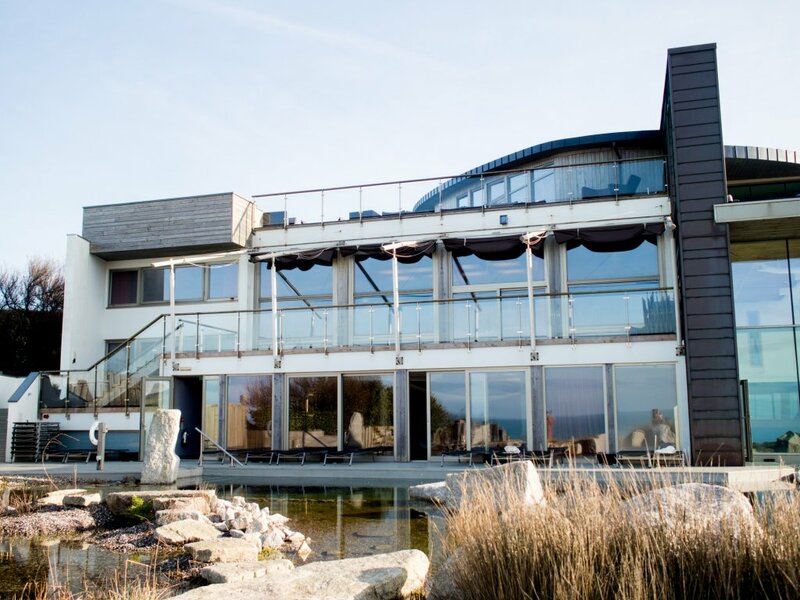 * I was kindly given a complimentary spa package to review but my thoughts are completely honest – I had the most amazing day!